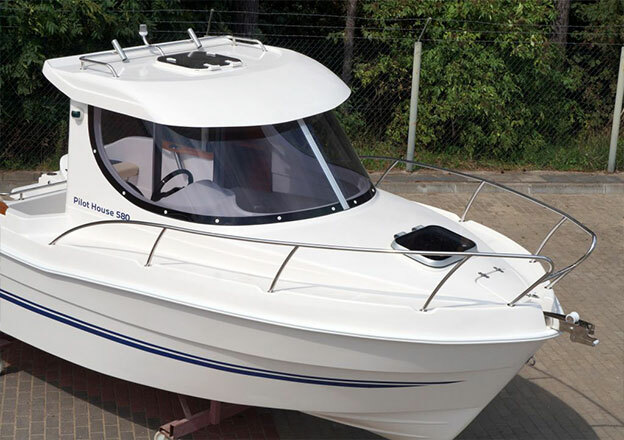 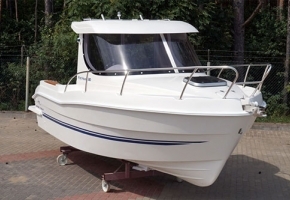 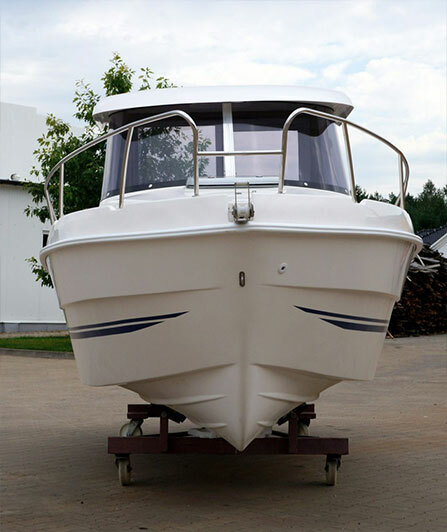 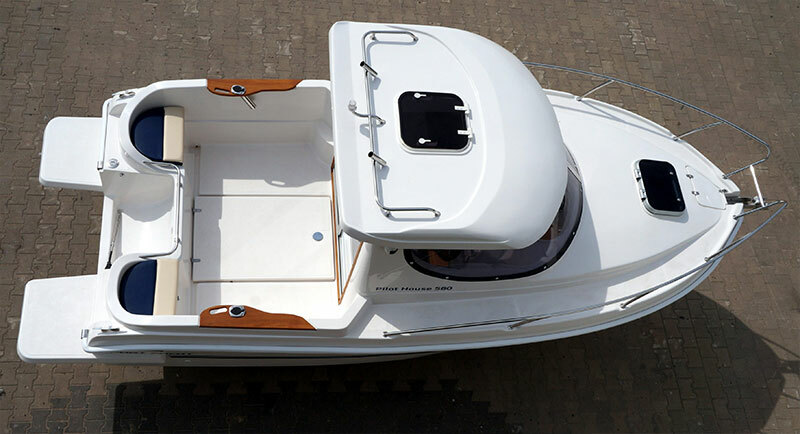 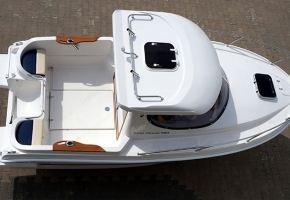 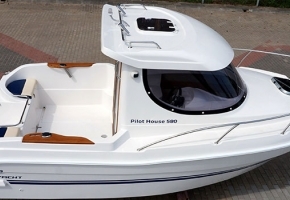 Pilot House 580 is a modern and stable motorboat popular with fishers. 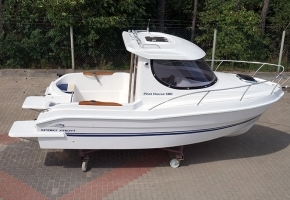 It is perfect both for family cruises and for fishing tourism. 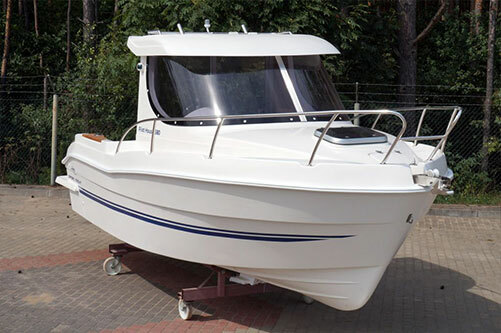 With a 115 HP engine, it makes an ideal solution to be used in large and medium water reservoirs. 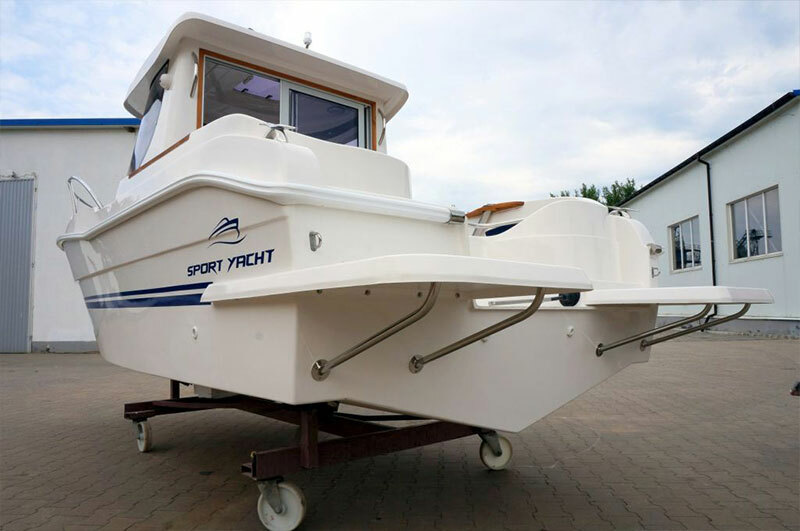 The boat’s important advantage is a spacious, lockable cabin providing shelter from atmospheric conditions, which makes it extremely functional. 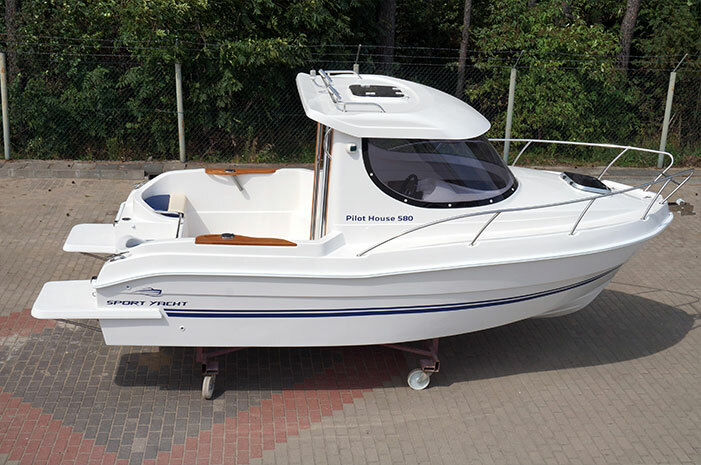 There is room for 3 people sleeping in the cabin. 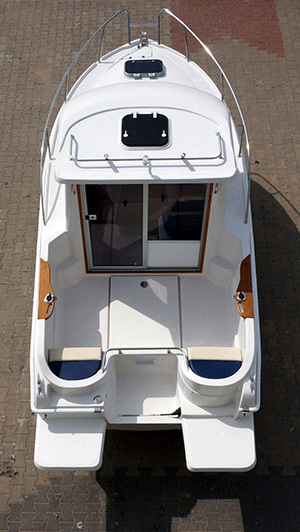 Its interior is finished with natural teak wood and it has many convenient lockers. 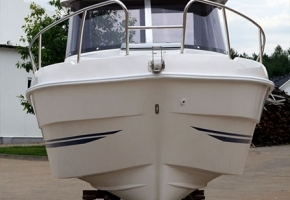 In the stern area, there are bathing platforms which facilitate going into the water.